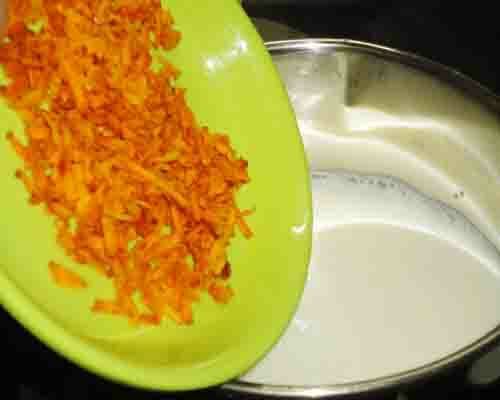 Haldi ka doodh reccipe - Today I am sharing a very simple, unique and healthy recipe of fresh turmeric root milk. Fresh turmeric roots are in season in Maharashtra. It is available during winter season. Turmeric root milk is a very popular drink and during off season turmeric powder can be used to prepare this milk. 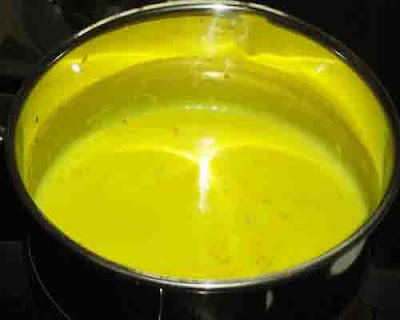 Haldi ka doodh is a very tasty, soothing, healthy and comfort milk. It has a subtle flavor and often consumed to comfort the sore throat. Whenever any one of our family member is having cold and cough, I make turmeric milk and give them to drink during night for a couple of days. 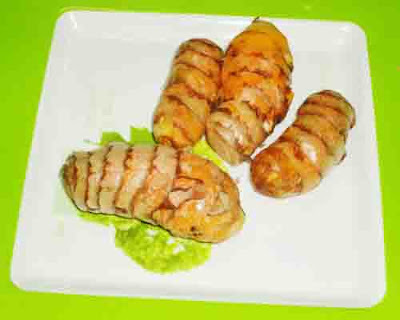 When fresh turmerics are not available, I use the same method with turmeric powder. First boil the milk and add sugar to it. 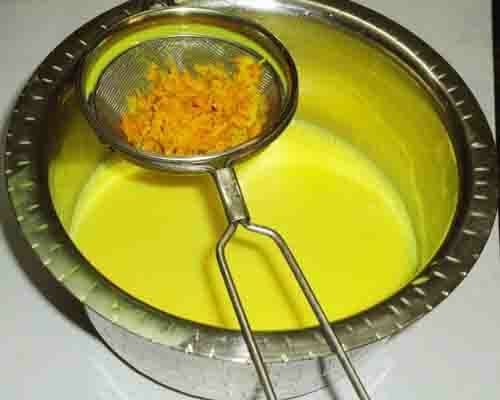 Then make the turmeric milk by adding turmeric powder in the milk and bring it to boil. 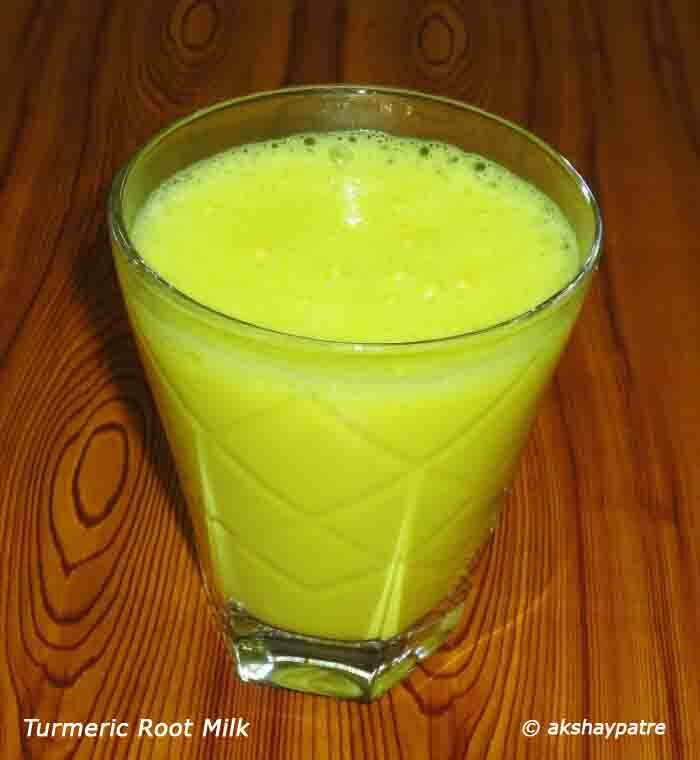 Turmeric roots dry or fresh has medicinal properties and turmeric milk is one of the best ways of consuming turmeric. 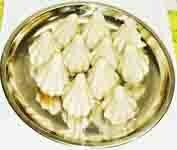 It has strong antioxidant properties and thus it helps in maintaining good health. 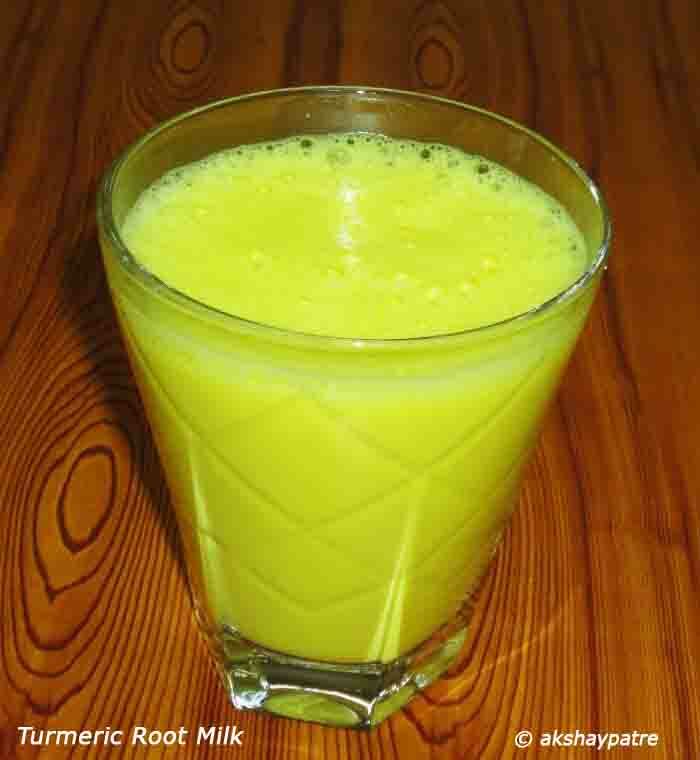 Fresh turmeric root milk or haldi ka doodh is a good home remedy for sore throat, cold and cough. This milk is prepared with fresh turmeric root or turmeric powder, milk and sugar. Grate the fresh turmeric root and set aside. Pour the milk in a broad vessel and bring it to boil. Add the sugar and mix. Add the grated fresh turmeric root in the boiling milk. If you are using turmeric powder in the place of turmeric root, add it at this stage. 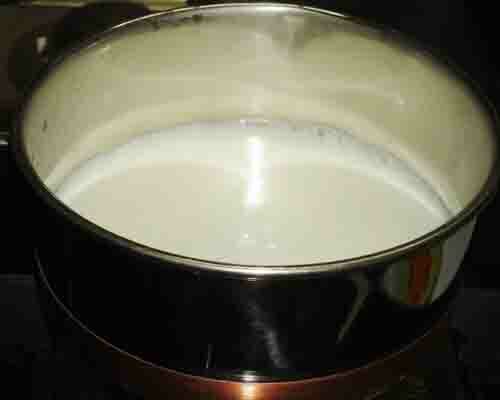 While boiling, stir the milk with a spoon once or twice. Boil it on medium flame till the turmeric cooks well and the milk turns into yellow colour. Strain the milk in a vessel. Pour in the glass and serve hot. 1. Wash the fresh turmeric roots and pat to dry. 2. Grate the fresh turmeric root and set aside. 3. Pour the milk in a broad vessel and bring it to boil. 4. Add the sugar and mix. Add the grated fresh turmeric root in the boiling milk. 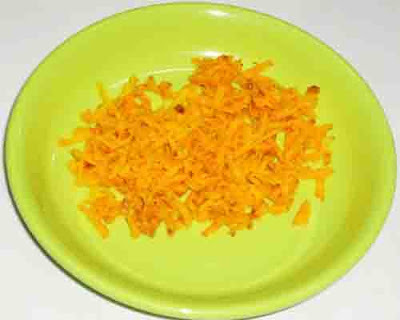 If you are using turmeric powder in the place of turmeric root, add it at this stage. 5. While boiling, stir the milk with a spoon once or twice. Boil it on medium flame till the turmeric cooks well and the milk turns into yellow colour. 6. Strain the milk in a vessel. 8. Pour in the glass and serve hot. Such a healthy milk recipe. So good when taken during cold or sore throat!